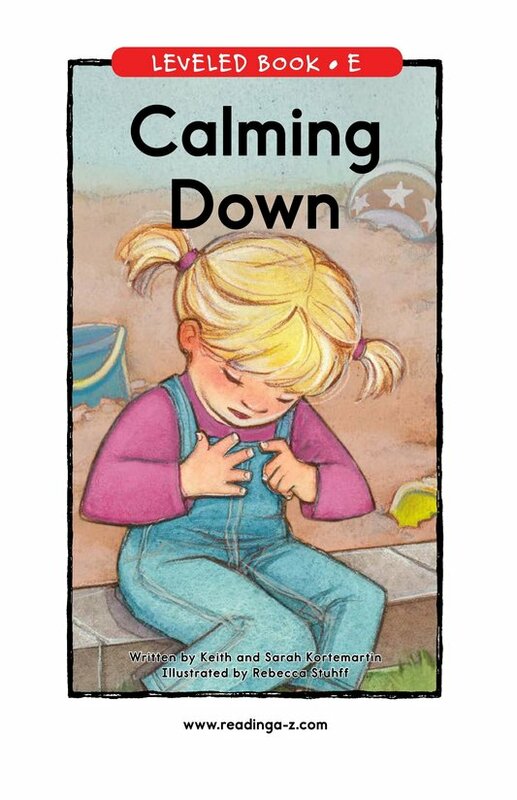 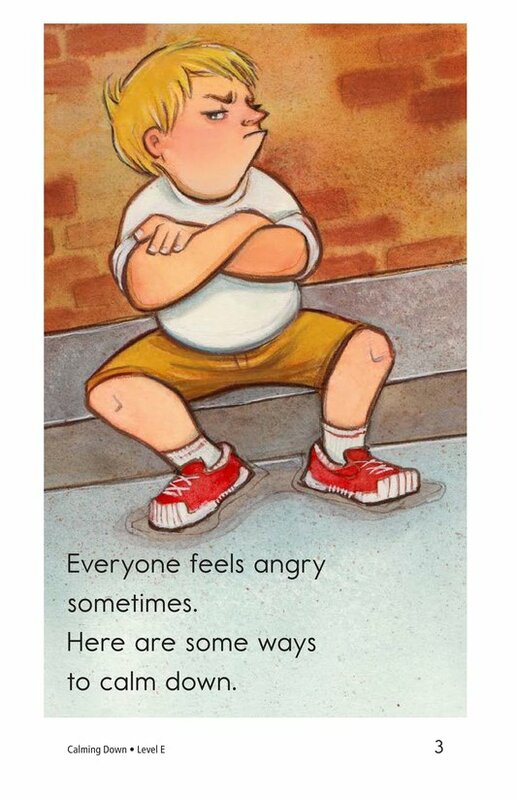 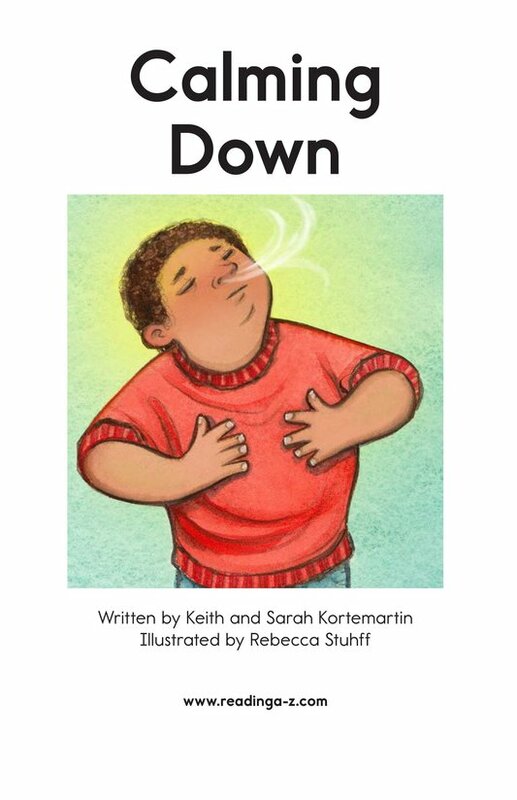 Calming Down explores many ways to deal with the angry feelings we all have sometimes. 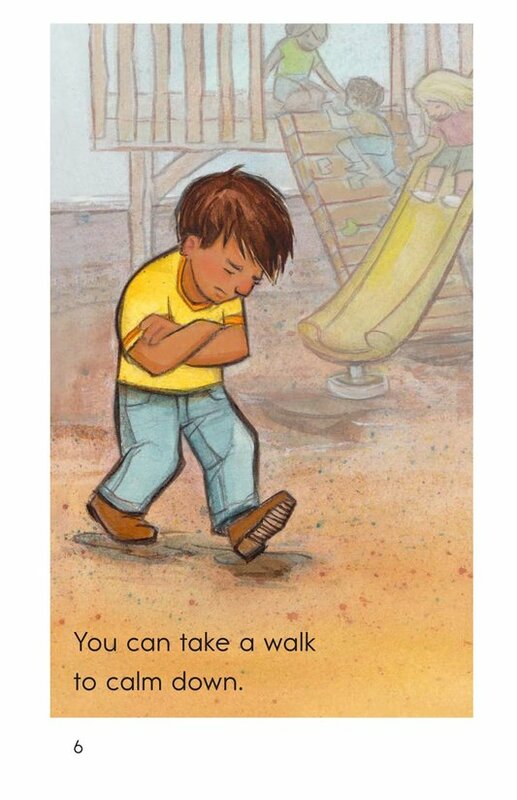 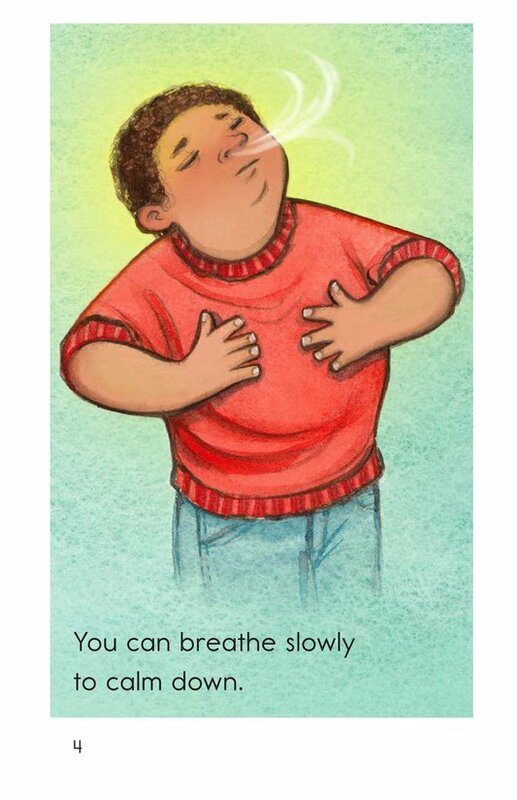 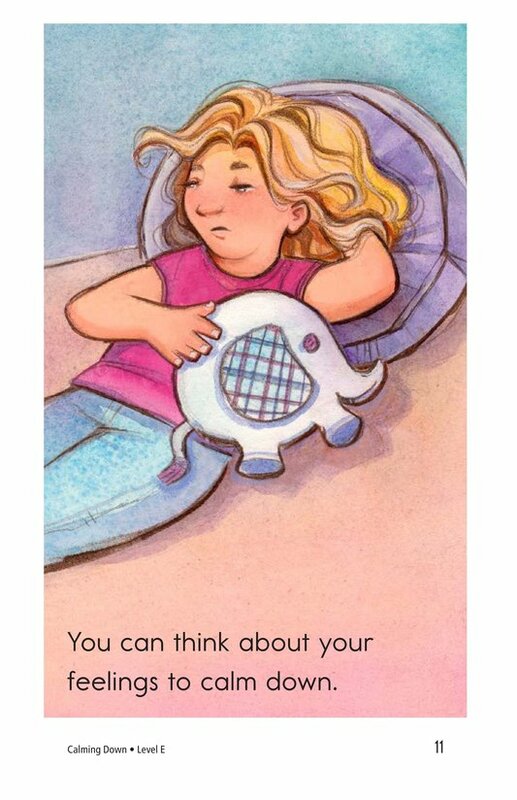 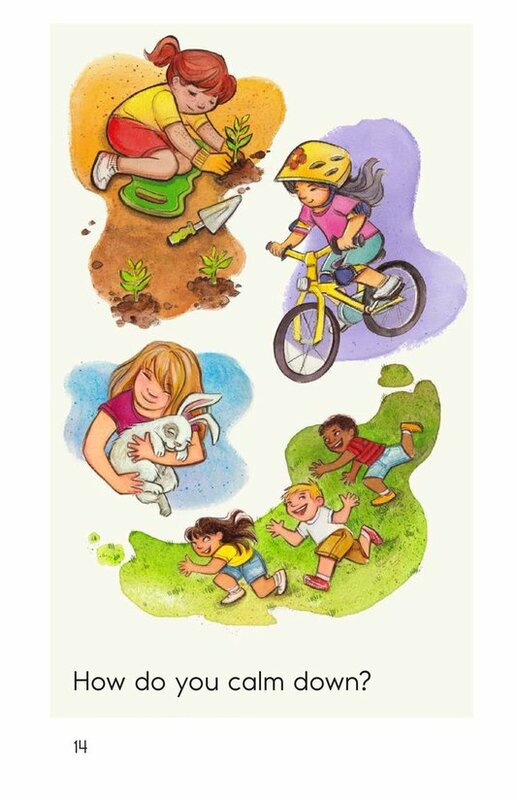 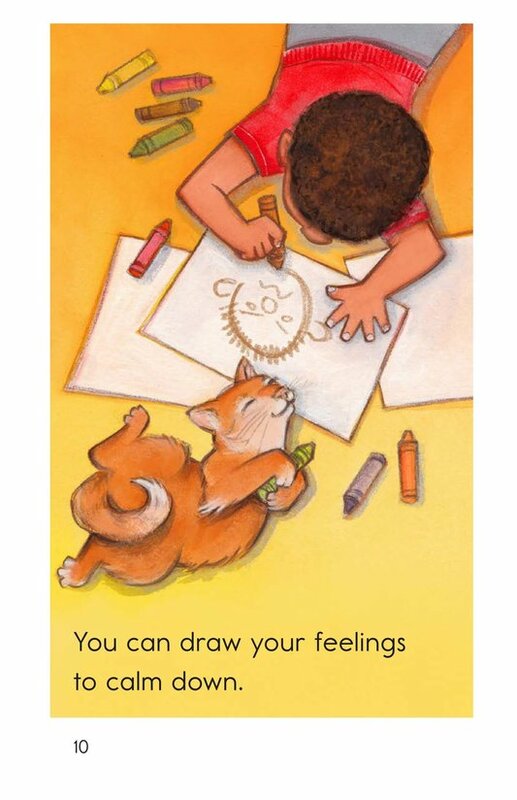 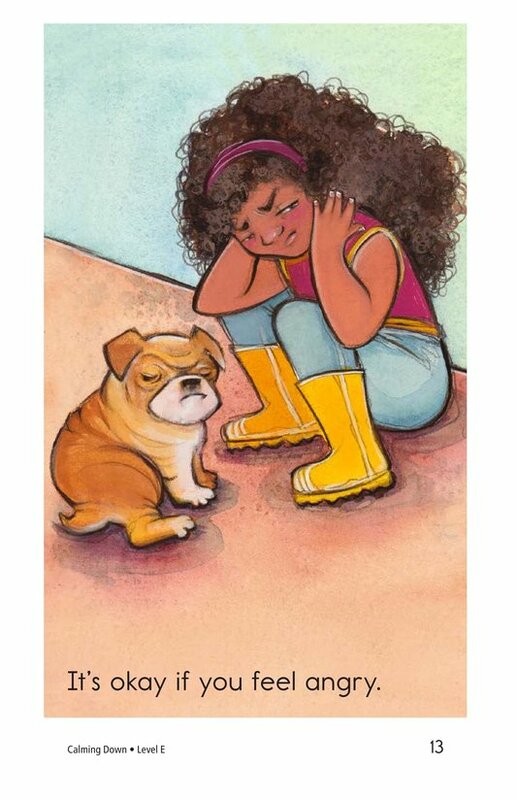 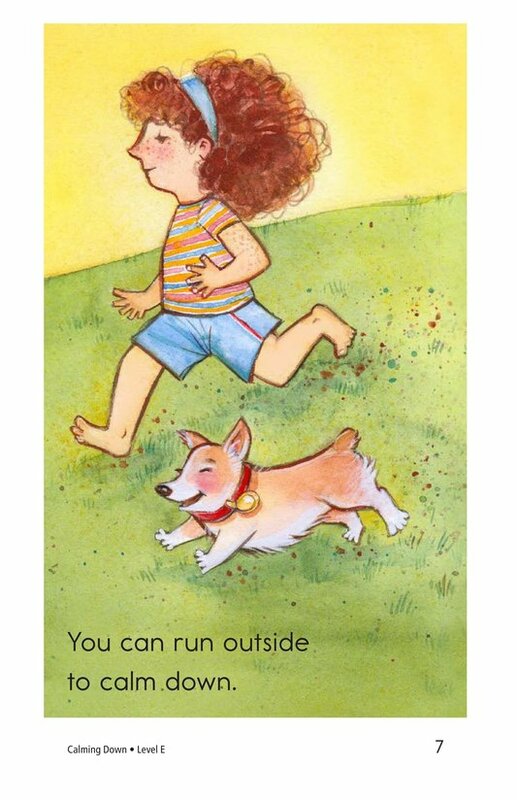 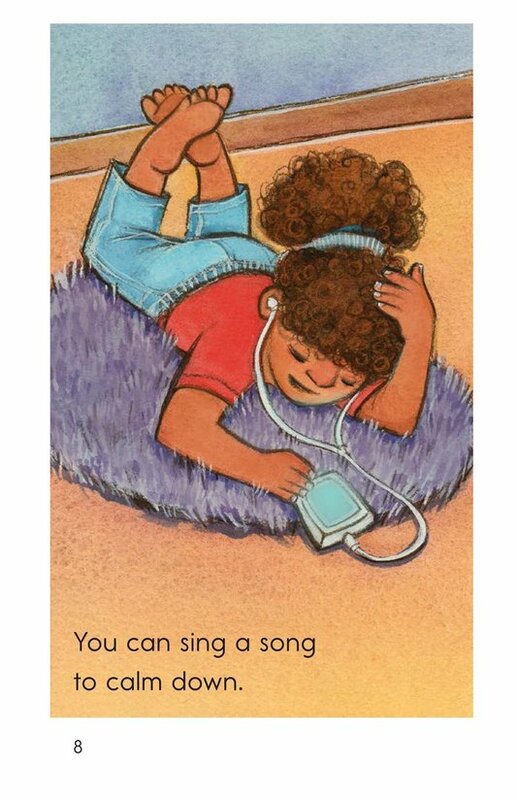 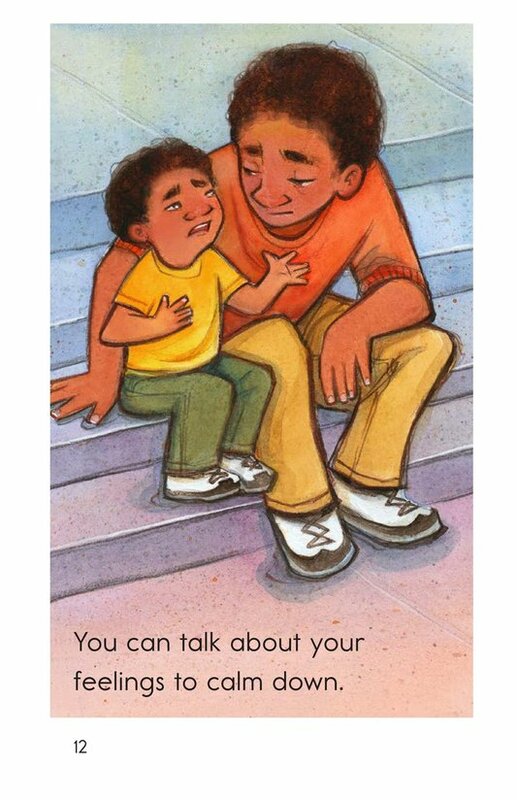 Detailed illustrations of children practicing healthy ways to calm down will help students be excited to read and learn. 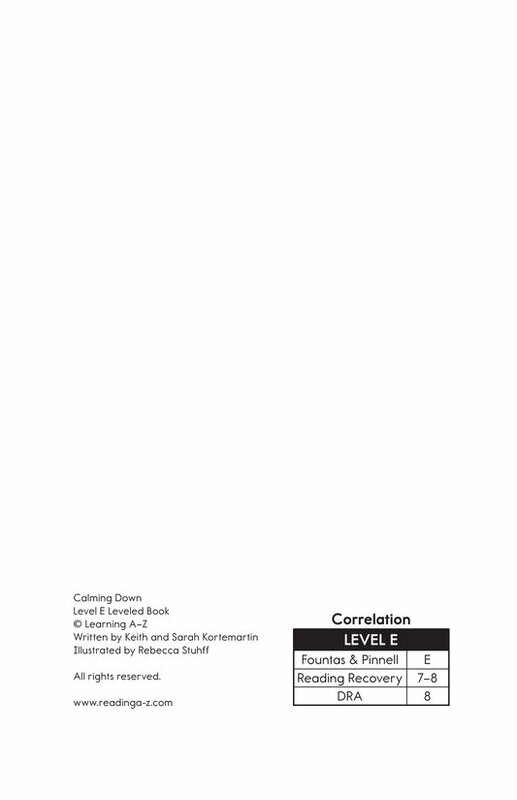 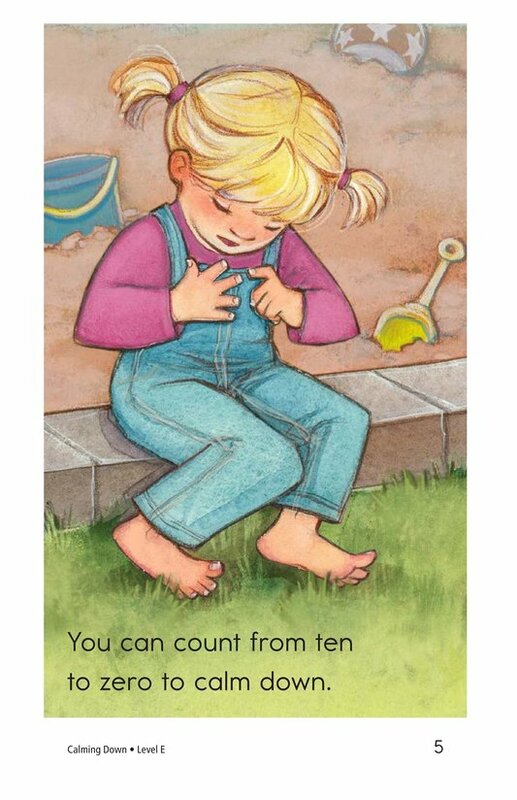 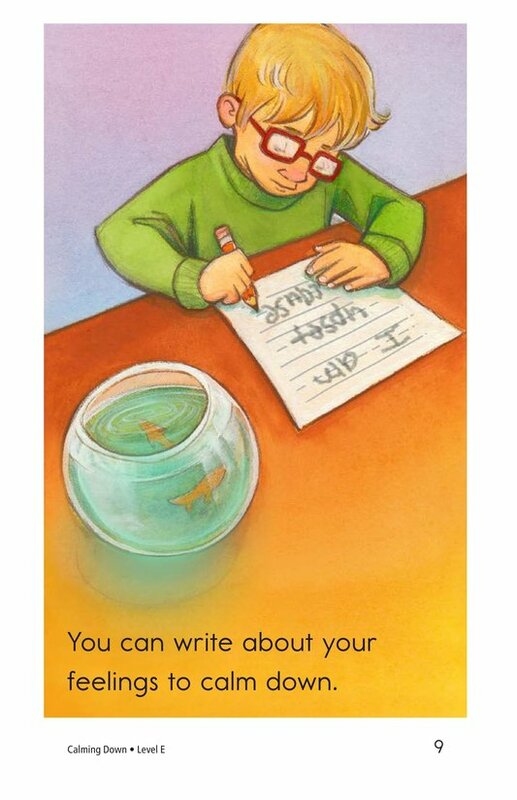 Repeated sentence patterns and high-frequency words support readers as they learn about determining the author's purpose and connecting to prior knowledge.